What if technology could help people develop and practice compassion? 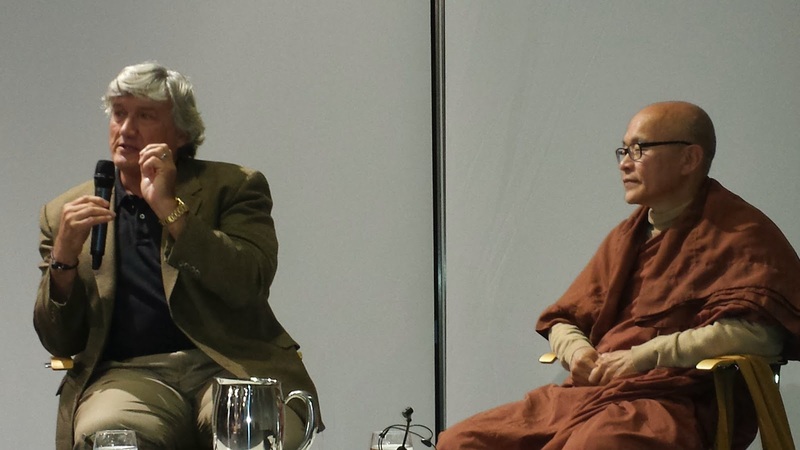 Last night we had the incredible privilege of hosting two remarkable individuals, Professor James Doty, neurosurgeon and director of Stanford's Center for Compassion and Altruism Research and Education, and the Venerable Bhante Mahinda, founder of the Australian Buddhist Mission and Aloka Meditation Centre. Both experts in the art of compassion, they came together in dialogue to share their insights into the importance of compassion for the survival of our species and how we can cultivate it. One of the most intriguing discoveries of this century (which admittedly is old news to Buddhism but new to neuroscience) is that compassion is not just good for those receiving it, but also for those experiencing and practicing it. Despite the fact that it involves witnessing suffering, compassion has been shown to lower heart-rate, lower skin-conductance and reduce stress because the brain is prepping for caregiving and other-focused attention. Studies have also linked compassionate lifestyles to better physical health and greater longevity. Now compassion is not the same as empathic distress which many of us have experienced - empathic distress is that feeling of being overwhelmed, helpless, fearful or depressed when confronting terrible suffering, such as accounts of torture or tragedy. Empathic distress can motivate us to turn away when we simply can’t cope. Compassion however is an alternate response to the same situation - it is a resilient, empowering and stress-buffering response that motivates care-giving and action. Wellbeing and action-orientation in the face of suffering sound a lot like characteristics we could use in the 21st century. What on earth are technologists doing talking about emotions? I honestly thought they didn’t have any. From our perspective it is this. Stats tell us that if I am sharing a room with 100 people then I will also be sharing it with about 300 digital devices. if we want to create a future in which everyone is thriving, we better make sure these technologies are on our side. What if our digital experience could encourage the development of compassionate attitudes and responses, even in the face of social problems, The we would not only be helping to address those problems, we would also be improving the wellbeing of the people using these technologies. In the past few years, even multi-billion dollar businesses are beginning to see the business case for compassion. 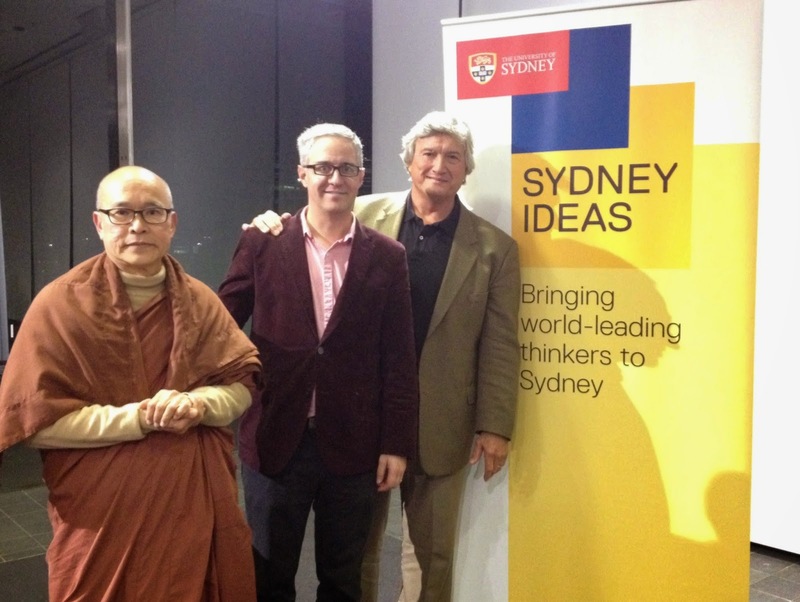 In fact Prof Doty came to Australia to speak in the Mindful Leadership Forum an event that hosted speakers from Facebook, Google, and Virgin Australia among others. Facebook, in fact, actually runs an annual “Compassion research day”. The reality is that Social media spaces are places that host connections, affiliation, gratitude, but they are also places of conflict, bullying, depression, and suicide ideation - and when people are unwell on facebook, it’s bad for facebook too. if the makers of social media can find ways to foster wellbeing and compassion, that’s a real value proposition. I believe that for engineers and designers like ourselves, it’s important to keep asking the question “what is the point of technology?” if it isn’t to improve our lives and the world, then does it deserve to exist? I believe technology has the power to effect unprecedented positive change across the population, and that’s what drives our work at the Positive Computing Lab. We want to change the way technology is designed and developed so that in 20 years, all digital experiences support wellbeing. If you're interested in how to design for compassion, see our article in the latest issue of ACM's Interactions Magazine, Compassion vs. Empathy: Designing for Resilience.